If you are needing a treat for your child's classroom or for any family gathering this Valentine's day, these Valentine M&M Cookie Bars are perfect. Spray a 9x13 inch pan with cooking spray, set aside. In a large mixing cup, combine all-purpose flour, baking soda and salt, stir together with a fork. Sift into a mixing bowl. Place butter in a large mixing bowl. Beat butter while slowly adding sugar. Beat in light brown sugar. Beat in egg and egg yolk. Beat in vanilla extract. Stir in 1 cup M&M’s and blend together with your hands, then press evenly into pan. Sprinkle the additional 2/3 cup M&M’s on top. Bake in a preheated oven at 325 degrees on the 3rd rack for 24 minutes. Remove, let cool completely and cut into bars. Looking for more Valentine's Day treats? Check out the Valentine's Day Cake Pops HERE. How yummy, and colorful for Valentines too! I think these bars would be delicious. I think these sound fantastic and I would love to try them. Oh wow! If these don't say "Valentine's Day" i don't know what does-so cute! Okay, I need these in my life. The look so easy, too! Exactly what I have been looking for for the kiddos party at school. These look amazing! Yum yum YUM! My children and I would love to make these to give to grandparents and eat for ourselves too. Love these! Those look so yummy - I'm ready to send you my address anytime! 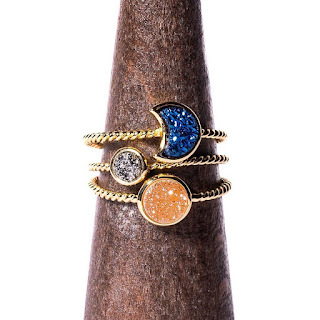 These look awesome and so colorful for Valentine's. These look like a good Valentine's treat to make with my kids. These look amazing! What a great recipe for Valentine's Day. I love it! I'm going to be making some things with my girls for Valentine's Day, so these will be perfect! These look greatand very easy to make. Thank you for the recipe I'm sure the family will love them. 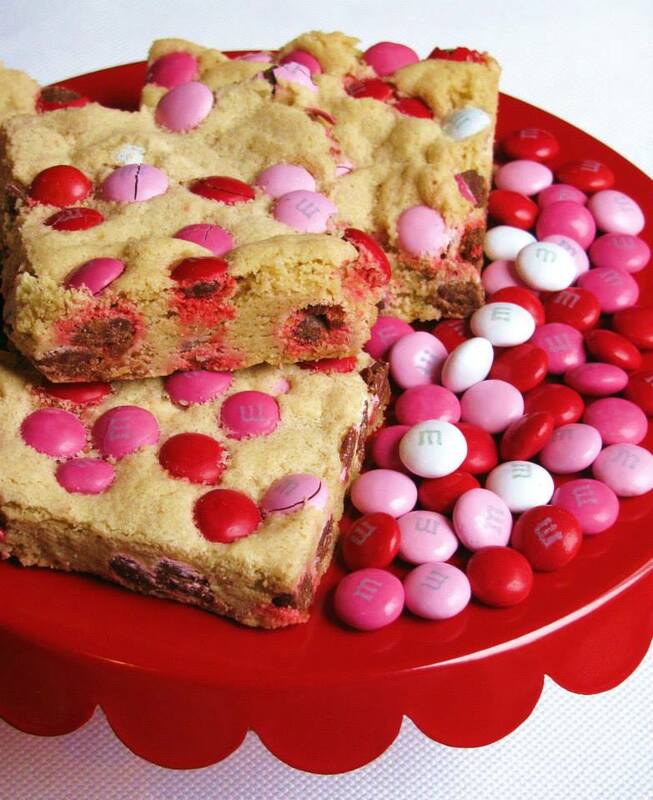 Valentine M&M Cookie Bars look so pretty! They look tasty and Valentinie. These sound really good. I love vanilla bars with chocolate. Oh these look delicious!! Super valentines day festive too!! I think I want to make them for Valentine's day. They look so good and my family would love them! Yummy! Very colorful and pretty. Perfect for a Valentines Day party. This looks amazing! My kiddo's would love to add this to our Valentines Day treats! These look so pretty! I have no doubt they are delicious too. I looooove cookie bars, and these are so festive and cute! These look cute and super yummy! the kids would love them. Super adorable I love them! I think I love the cute pinks colors they bring to the cookie! Yum, Except for the M&M's do you think you counld make it with Spenda? My nephew specifically requested cookies with m&m's. These look perfect! These look so quick and easy to make. Not to mention I bet they would be a big hit. Yummy. I think these would be easy and delicious! I love M&M cookies, but never thought to make M&M Cookie Bars! These look sooo good! Those look very yummy! I love me some m&m's on anything. What a yummy and easy treat to make! These look easy to make! I'll have to try making these with my granddaughter. These look so yummy and easy, perfect to make with my granddaughter. Thanks for sharing! These would be fun to make with the kids for Valentine's Day! I love M&Ms and these look delicious, but I have diabetes. Ohmygoodness those look so delicious. I love the holiday candies. Yum! These look really good. I love the pink and red M&Ms! I make a very similar cookie bar - but I have never added M&Ms. What a great idea - and you could use different colors/flavors for different occasions! These are so pretty! I may even be able to pull off this recipe. These look delicious and sound easy to make. I love m&m's, especially the ones with nuts. I also love all kinds of bars and this recipe has both. They look and sound delish. These look so good and are easy to make! I love that everyone gets one not just your valentine! Yummy! Yum! These look awesome. I really like how festive these look. It would be fun to make for any holiday.